A little over a week ago, Elli (who’s 8), was invited to a themed birthday party that was also a mystery party. Everyone was given a character and was asked to dress up (if they wanted to). Ummmmm……YES! Elli also really loves to dress up and so together, we came up with ideas, she drew out the plans, and I sewed it together. It was so fun to do together…..and got me REALLY excited for Halloween! I know, I know — it’s only August. But I can firmly say, costumes are my absolute FAVORITE thing to sew! ***All Halloween Costume Tutorials can be found here. But really, tell me…….what are you making this year? Or buying? Or can’t find in the store but your kids would love to wear? I was thinking after I rounded up enough ideas, we could have a quick vote and the top ideas would be the ones I make?? I actually think it would be fun to make 3-5 of the top ideas, depending on how difficult they are. And then, I would probably give them away because let me tell you, our dress-up pile is a little crazy! ;) I’m getting all excited inside just thinking of coming up with someone else’s (<—I never know how to spell that word) costume request. Especially if it will be something more than one person is wanting to figure out. And if I’m stumped, I kinda get a thrill from figuring it out….haha, strange, I know! Okay……so let me hear it! I have been thinking about the movies from this past year and am curious if kids want to mimic their favorite characters….do you have some kids begging to dress up as minions? Or how about the characters from Inside Out? Maybe you have some girls dying to wear the beautiful dresses from the new Cinderella movie? Also, remember the whole Elsa/Anna/Frozen craze last year? My little Chloe is obsessed and keeps telling me she wants to be Elsa. But then she changes her mind and wants to be a fairy, a strawberry, a mermaid, a bunny…..I mean, I can’t get a straight answer from her. But she throws Elsa in there often enough, it makes me wonder, ARE LITTLE GIRLS STILL WANTING TO DRESS AS ELSA?? Again?!?! Ack! Or maybe your kiddos want to dress up as one of the more classic movies, like Alice in Wonderland? Or maybe not a movie at all…..and they just want to be a really fluffy fairy princess? Or maybe a mystical dragon? Then we’ll round up the most popular and put it to a vote! How does that sound? LET'S VOTE...on the top 11 Halloween Costume Requests! Halloween Costumes: Let's VOTE...and then make one TOGETHER!! My kids (18 month twin boys!) are going to be Mario and Luigi, and my husband and I are going to be Princess Peach and Bowser. I think I have their costumes already (overalls, red/green t-shirt, and hats that I bought for their b-day party) and then I am going to do a puffy pick tulle skirt, pick t-shirt and a crown from sheets of foam/rhinestones on a headband. but bowser is really giving me fits, and making it something that is simple and comfortable for my husband to wear! hopefully just a hat he can slip on, ‘shell’ he can slip on, over a regular t-shirt and pants. What about using hangers for the frame and covering the “frame” in fabric. You could make straps for his arms and then it would be easy on, easy off. My kids also want to do a mario themed this year. Mario, luigi, princess peach, Bowser and tode. We are doing Alice in wonderland here with a variation…my 6 year old being Maddie Hatter instead of the mad hatter. I’m not a seamstress but can sew basic skirts and have figured that one out. I need to find someway to make an Alice costume for my 3 year old and make some sort of costume for my husband and son in the theme. Apparently it has been decreed that this mom who doesn’t dress up is going to be the queen of hearts. I’m worried how I will pull it all together. Simple ideas from you would be awesome! My 5 year old daughter is making it easy on me this year. She just wants to be a ghost! I’ve always wanted to make myself an Ursula the Seat Witch costume. I’m making my daughter a cheerleader costume and can’t figure out where to buy or how to make the striped trim that goes on it. Any thoughts or ideas?!? Yep, I was going to say the same thing. Look for some Single Fold Bias Tape at any sewing store. Sew it down along both edges….DONE! My 4 year old wants to be a cheerleader too! I think I’m going to go with a classic pleated style skirt though. My little boy (3) wants to be Marshall from Paw Patrol and has instructed myself and my husband that we are going to be Sky and Rubble. Now I have to come up with Adult Paw Patrol costumes! to previous poster: what about properly colored Tshirts with an iron on of the character and maybe a hard hat for dad and goggles for you. that way you can wear a regular shirt and not spend a mint on the adult version. A dinosaur or a lion. My 1.5 year old doesn’t have a favorite character yet, but he loves animals that roar. A red-eyed tree frog! Ha. I’m sure it won’t get voted in, but that’s what I need to work on. And its for a boy…so tights won’t work. Sweat pants work well as an alternative to tights, for boys. I’ll probably make fleece ones to go with the top. I love all the costumes you’ve made out of fleece! I dressed my baby boy up a few years ago as an owl and totally used tights ? My 4 year old daughter wants to be Harry Potter for Halloween. That seems easy enough to put together. But my 3 year old daughter wants to be a golden snitch to go with Harry! So I’ve looked around on Pinterest/google and found a few different ideas but none of them seem just right. For sure, it’s something I need to put more thought into :) whatever you pick this will be such a fun series to follow – I love all your costumes every year! Did you think of finding a costume that is more round/ball shaped? It could be something real basic. I know my mom was a coconut one year, to match my dad who was a coconut tree, and she was very round because we stuffed it with newspaper. Then you could plan out wings, they really appear to be thin/lightweight for a snitch, and just add to the sides of the costume. My 5 year old wants to be Cruella De Ville. I am excited about it & have already started looking at ideas. I can’t decide if her fur coat should be plain white or with black spots? I think Cruella mostly wears the white coat & but spots would look adorable! And then I’ve seen the wigs for sale online but they are mostly for adults. So I’m worried that it might would be too big & most places don’t allow returns. My little one wasn’t even 2 last year and she was cruella (little sister was a dalmatian) the adult size wig from amazon was barely too big, a couple Bobby pins and it never moved. I sewed up a spotted fur coat and a simple black dress for underneath. I cut pantyhose and sewed the so one leg was black one was white. I bought some cheap pearl necklaces at Walmart and she looked awesome!! I wish I could send you a picture…so cute! Good luck! A rocket ship! My 3 1/2 YO son is begging to be a rocket ship. I don’t want to make it out of a box though. My husband and I plan to be the earth and the moon. Just not sure how I am going to pull these off. I did an R2-Q5 (an emperial droid from star wars) for my son last year and used a pop up hamper from walmart for the body. it worked out really well. You can use gold/silver sharpies right on it, its light weight, and you could just make a hat for the top of the rocket, and use felt for flames coming out of the bottom. Good luck! Last year my teenage daughter bought a Ninja Turtle t- shirt at Walmart and made a tulle skirt to go with it. It was super cute! This year we are doing a super hero shirt and tulle skirt. It is easy and a super inexpensive costume for tweens and teens. That is a really cute teen costume! And quick!!! Minions for my infant grandsons! Hahahaha!! I really want to do a mermaid for my 6 month old and have my 3 year old boy be a pirate but I’m intrigued by Chloe’s idea to be a strawberry! Sounds cute! Another mermaid here!! My 3 year old daughter requested a purple top with a purple tutu and the green sparkly tail! I’m so excited to try this but would love some direction!! Looking forward to see what you do-you’re costumes are always wonderful! We are doing a Peter pan theme this year, 4yr old Tinkerbell 2 yr old peter pan Wendy, dad captain hook, mom Mr(s) Smee. II would love some help on an easy Hook jacket since it feels WAY out of my league. My husband just went to Goodwill (or D.I.) and found a womens red wool type coat and just used that. It looked pretty awesome.. Good Luck! My younger daughter wants to be Zarina the Pirate Fairy from the Tinkerbell movie of the same name. I’ve purchased items from a thrift store to alter into the costume. Very excited about it! My older daughter is in 7th grade this year and needs a school appropriate costume, but doesn’t have any ideas so any help would be appreciated. She is not a girly-girl so it’s very hard to come up with ideas. She says she probably won’t be trick-or-treating this year. I totally understand but it makes me a little sad. Oh! I made a Zarina costume as a Christmas present for a friend’s daughter last year. It was so easy and fun!! Good luck! What about an athlete? (That’s if shes into sports) She could wear shin guards, a jersey, shorts and be a soccer player, or a skirt, shirt, and wristbands/headband for tennis player, etc..
Robots- not only for boys but girls as well. Cogs, Gears, Buttons with Icons, Screens and maybe some lights? It is so not too early to see your creations! I made the Cinderella dress almost three Christmases ago and it is still holding up. I am Currently working on the Rapunzel dress for this Halloween for my 6 year old and my 4 yo boy wants to be a skeleton, my 17 month old is going to be Fred Flinstone since we call him Flinstone feet all the time. My 4-year-old daughter would want to be Elsa; even in France, all the girls are crazy about Frozen. Here as well, my 3-years-old daughter wants a blue dress like the girl in the film…. By the way, I just love your ideas. Thanks you ! We don’t make a big deal out of Halloween, but it’s fun to let this kids dress up. Sometimes it ends up being too much work for me, though. Last year I made Merida and Dash Incredible costumes for my kids. I’d be fine with Elsa – and it’s “so last year,” not all-the-rage, which I prefer – and I bet my daughter would love it. 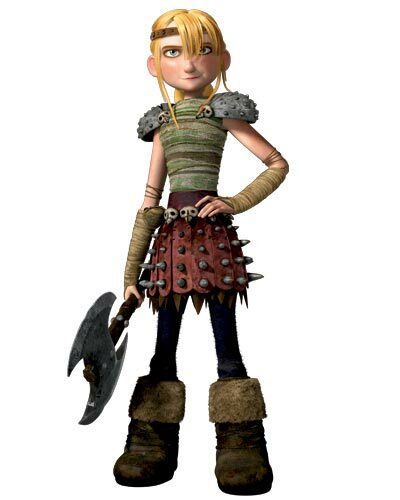 My 5-year-old son would probably love Hiccup – or something Viking/dragony-y – from How To Train Your Dragon. My 2-year-old girl would probably just like something with a tutu or something princess-y. The outfit is for a doll but could be easily replicated for girl sizes if anyone has little girls that like Frozen and there aren’t any costumes at the store that fit. I was thinking of making this outfit for one of my cousins who likes Frozen. I want to make an R2D2 costume for my 2.5 year old girl. I think I want to make it girly, like a princess dress inspired by R2D2, but I don’t want it to have a tutu as most of the versions online seem to have. I fell in love with this dress for my 6-year-old, but then she decided on Yoda for Halloween. Thanks for sharing that link, Christina! Super cute and such a great dress for my daughter to wear any day of the year, really! And Ashley, any tips/ideas you have, please do share! I know I can sew a dress, but it’s all the embellishments that I have no idea how to tackle! I made R2-Q5 (emperial droid) for my son last year out of a pop-up hamper. you can use gold/silver sharpies to make all the buttons and lights on it and it is really lite weight! We used a plastic bowl upside down for the top on his head, and cardboard for fake arms/legs (whatever they are!) It turned out so cute! Im sure you could find a pink or purple pop-up hamper at walmart. Good luck! My 2.5 year old son will likely be a dinosaur. He’s obsessed with his “dinosaur Rex” toy and loves to carry it around roaring! Last year he was a doozer (fraggle rock), which turned out to be a pretty easy costume to make. My daughter (5) loves the dress from the new Cinderella movie. Would love to see that. Elsa is still a favorite. I also like the idea of something not specific character, like a fairy princess. All your ideas are wonderful! Love this blog!! Thanks so much Kris! And yes, everything fluffy and magical are top choices for our girls too! So far I’ve heard Black Widow and Captain America, a turkey and a hunter, a dinosaur and a stone age girl (she didn’t know who Pebbles was when I suggested it). My girls are as undecided as Chloe! Yes, I have two girls, even if the above list doesn’t suggest it. I’ll have to feminize the Captain America idea, as they both like things fluffly and frilly. Captain America in a tutu perhaps? LOL. I’d LOVE to see your take on this girl eagle costume! I don’t know where to find fabric like that, or fur trim, or feathers. Any ideas? Anything Pokemon. Last year I made an adorable Pikachu costume, but he’s easy compared to some others. My three boys talked about doing a group theme of pokemon and/or trainers. I’m 16 and I would love an owl costume! All three of my kids want to be Rescue bots! Another vote for Star Wars here. My 8 year old son is obsessed with all things Star Wars. He wants to be someone from the dark side, but he changes his mind daily on which character. Surprisingly my “girly girl” daughter wants in on the Star Wars theme too–but not Princess Leia–she wants to be the jedi Ahsoka from the clone wars. I have no clue how I’m going to make that (can I craft that hair? eek!) so I’d love some ideas. And finally, my 3 year old is still open to suggestions and I was thinking Yoda to tie them all together. You do the best costumes and are so inspiring so I’d love to see your Star Wars ideas! And, my mind has been turning over costume ideas for a few weeks–my kids have been asking since June? !–so August isn’t too early in my book! Even if you don’t make my theme, I can’t wait to see what you create. We were going to do Ahsoka last year, but changed to a different star wars character, We thought about using pantyhose for the hair and stuffing it with something. Good Luck!! We are going Star Wars this year, Yoda, Luke Skywalker, Princess Lea and Storm Trooper. My son wants to be willow and my daughter a princess! First time in 7 years my son hasnt wanted to be a star wars character! My daughter would love a tutorial on how to make – R2D2 from Starwars. She’s 8. Also any characters from how to train your dragon! Those are great characters. Thanks for throwing this option out there! You are awesome! Oh, and you’re not the only one thinking about Halloween already, last week my daughter and I did some googling to get some ideas. Starting/planning early makes things go so much smoother when making home-made costumes. Last year she went as an Egyptian (Cleopatra’s daughter). Found used online a great white, black and gold dress with flow-ey cape, made a head-dress (a plastic cobra head on front too), jewelry cuffs, and neck piece. It turned out great! Probably one of my very favorite! Thanks and good luck! Looking forward to seeing pictures of Elli’s party costume! I’m totally already working on Halloween costumes, because (1) every year I put it off thinking, “I have plenty of time! It would be silly to start this early!” Then I put it off too long and get stressed (and I’ll be eight months pregnant at Halloween, so that’s enough stress). (2) My kids looove to dress up. My 6-year-old and I are reading Harry Potter, and that’s what he chose, so I’m letting him have each piece as I finish it. I was thinking my pregnant belly might make a good snitch, and I was looking at your costumes for ideas…any suggestions? As for what else you make, I would love some really easy, cheap, and commonly liked (animals, the minions, vikings–i.e., How To Train Your Dragon 2) costume ideas, so I can frugally add to our costume bin. Thanks! So very excited to see what you make!! We are going with the Star Wars theme this year. 7 year old Leia, 4 year old Luke & 2 year old Han Solo. I’d love some ideas on how to make Han’s holster/belt! My hubby is a huge Star Wars fan so he’s insisting things look authentic! My little one wants to be a shopkin. Now, I just need her to choose which one so I can get sewing. Your kids seem to be right around the age when Avatar: The Last Airbender could be a big hit for them (and parents! The series and the second, The Legend of Korra were huge hits with adults as well). The costumes would be weather appropriate for colder climates, generally easy to make (very flowy, lots of robes), and totally cute to have each kid be a different kind of bender! I’m going to be 7 months pregnant by Halloween, so I’m definitely going to be Pema (a character from Legend of Korra who is a pregnant mother for most of the series). My 2 year old likes Big Hero 6, so I’m thinking of doing a girl Baymax costume or one of the characters from Octonauts. My 3 year old wants to be curious George. I will have a two week old by then and I thought it would be fun to have him be a banana! Big hero 6 here. Honey Lemon for DD (5) and Baymax for the Dog (7) — Yup the dog(s) always get themed costumes to go with DD. My 7 year old son wants to be a knight. I’ve seen some pretty neat costumes but they are on the expensive side. Spider-Man here. But I also have a flip flopper, so we’ll see if it lasts. Boxes! It’s really easy. 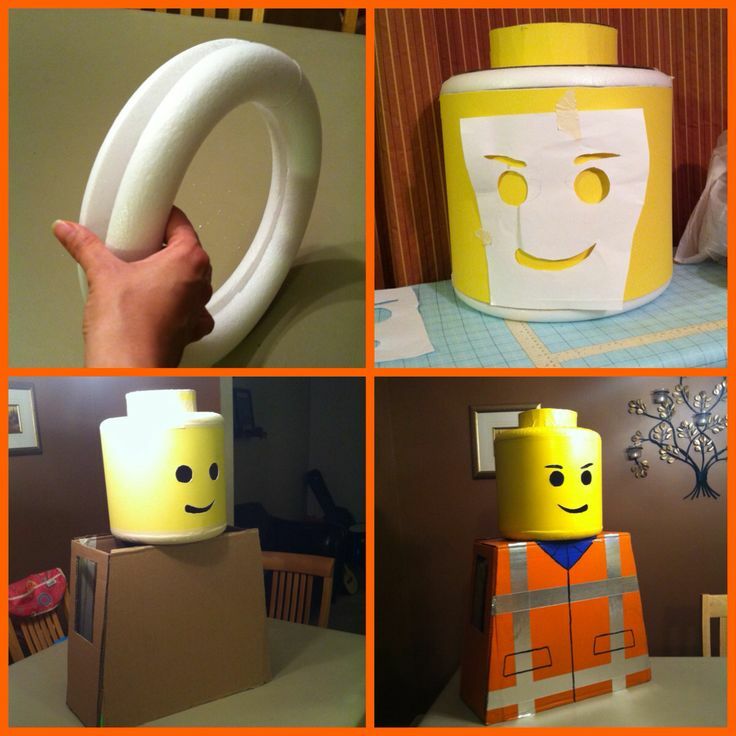 I made great Lego costumes last year. Ashley featured a picture of them here on her blog for her Halloween parade. I did boxes for the bodies and for the heads, I got 12″ craft foam wreath, sliced it in half and taped a piece of mat board around it. The wreath gave the heads the rounded edges and then I cut out faces and painted. The shape was perfect and it was a pretty easy project. I’ve posted pictures to my pinterest, but not sure if I can share that here in the comments (I’ll try). One of my kids says she wants to be an ice cream cone. Two of them say they want to dress up as salt and pepper. Ha! My granddaughter wants to be Joy from Inside Out. My 8 yr old boy wants to be a Creeper from Minecraft. All I can find are some heads, but he can’t even wear that at school so I’m not sure what to do. Haven’t decided on my 9 month old boy yet. His name is Lincoln and I thought a Abe Lincoln costume or Link from Zelda would be pretty funny. I thought it would be kinda fun to be Abby Bominable from Monster High myself cause I think she’s quite amusing, but wonder if that would be too cheesy for an adult. Last year my oldest was Butterfly Elsa No-Noggin (a headless scarecrow character from the Curious George Halloween Special). This year she wants to be a jellyfish. I’m surprised she wasn’t asking for that the last three years, as she absolutely adores jellyfish. I have no clue what the little one wants to be. Maybe a My Little Pony? I would love to see a baby (toddler) deer costume. I think it would be cute for my husband and son to be hunters, and my daughter and myself could be deer. My little girls want to be Dontello from the Ninja Turtles she’s 6. My other little girl (7) wants to be Alice from the live action movie when she is wearing the red dress. My oldest has no idea he’s 8 and my youngest boys says yes go my every suggestion he’s 3 lol. My 4 year old will be Ariel and my 9 year old Ursula. I’m already crying just trying to figure out how to make tentacles! I vote for Bowser! My 7 year old boy loves him! My 5 year old really wants to be The Joker from Batman. I just need to figure out how to make it a non freaky joker! Just finished my Mrs. Frizzle costume (outer space fabric for the win). It’s actually for a book club kick off this week. My kids want to be a goth princess (10yo), mother nature (8yo) (dress with outer space fabric, leaves, flowers, sky, etc) and a ninja (5yo) He wants what Costco is selling but they are out of his size. I think he just wants a new sword. And the baby will probably be minnie mouse because her sister was at 2yo. My daughter’s favorite movie is Aladdin, so I’m attempting to make a Jasmine costume that doesn’t show belly. I can’t find one to buy! My 8 year old daughter wants me to make her a vampire costume! We showed my kids the original Star Wars trilogy recently and my four year old is all about Darth Vader now. I’d love to see some Star Wars costumes. We decided on a Peter Pan theme this year with our baby girl as Tinkerbell, son (8) as Peter Pan, hubby as Captain Hook and me as Wendy. We also considered minions though so it’d be fun to see those costumes too! Wait a minute! But what did you make for Elli??? Where are the pictures!?! I am a preschool teacher and plan to dress up as Pete the Cat from my favorite children’s books. I bought my infant a strawberry costume and my 5-yr-old says she wants to be a peach or a banana to go with sister. So we will see. Daniel tiger over here! :). Maybe just a generic animal head you could customize–make it a tiger/sheep/cat/dog/elephant etc just by changing the fabric color and ears. ?? My 5 year old wants to be a lego mini figure! Lots of options from the basic mini figure look. I’m a little overwhelmed with it though! I like to make a fairy princess (now I bought one) and for the little one a bumble bee must be cute. My 3 year old daughter loves Shaun the Sheep. Sleeping Beauty – my 5 year old desperately wants to be Aurora and her sister to be a fairy. I’ve searched for a tutorial and there isn’t much out there. I’m off the hook this year since my 5yo wants to be Elsa yet again this year!! So glad I put in the extra effort for a well made- homemade dress! Can’t wait to see what you come up with Ashley! So talented! My boys are currently way into Scooby Doo and Tom and Jerry. I think the Scooby Doo gang would be easy, although, not sure how to go about Scooby. Tom and Jerry might be tricky too. We don’t do movie characters (strange, I’m sure) for Halloween. This year my littlest is begging for a knight costume. My daughter wants to be Pocahontas this year but as you can imagine there aren’t many out there suitable for an 8 year old!! Yikes! My younger 2 will probably just use some hand me downs like princesses and animals. What I find the hardest if for older boys around 10 years old. Last year he went as a mummy and won a few costume contests….but I have no idea for this year! It’s hard if your older boy isn’t into super heros….kind of limits things! My daughter wants to be a ballerina with a pink tutu and a pink ballet shoes. I know it is pretty simple, but I am looking for something other than the tied tutus I see online. Mine never look very good and don’t last very long. My 4 year old is very interested in that fairy costume! My girls are obsessed with Disney’s movie Descendants – my 7 year old wants to be Mal and the 4 yeard old wants to be Evie. If I can’t pull that off I’d love Alice in Wonderland. My little girl is in love with mermaids! I thought this year she could be ariel, and her baby brother prince eric (he has tons of dark hair). I would love a mermaid tutorial! I’ve used your tutorials in the past and made alterations of my own (turned your Big Bad Wolf into a Sully from Monster’s Inc) and the costume’s have turned out great! This year my girls want to be Sleeping Beauty and Maleficent. I am planning on using your Cinderella and Glenda as a base, but do you have any recommendation for Sleeping Beauty’s white collar? How do I get it to stay up instead of flop around her shoulders? Thanks for all you share! My oldest daughter (5) wanted to be a ninja turtle, all the store costumes are embarrassingly chintzy, my 2 year old daughter wants to be snow white and baby boy is going to be a fireman. It’s Draculaura for my 7 year old this year! Mercifully I have an old skirt and t-shirt that will do beautifully once trimmed with yards and yards of lace. My mom ( yay for mom) and I just have to make the pink vest and we are good to go!